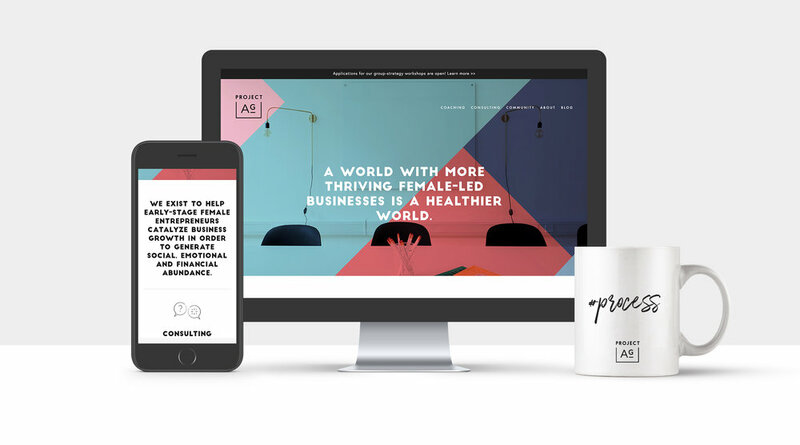 Project AG provides coaching, consulting, and community for early-stage female entrepreneurs in New York City and beyond. I worked with founder Alison to take her existing Squarespace website and really crank it up a notch. We talked through all her existing content, conceptualised the look and feel that would really fit her business, and transformed the site from sterile minimalism to a vibrant, personality rich, clearer experience that truly suits her audience.